It’s giveaway time! 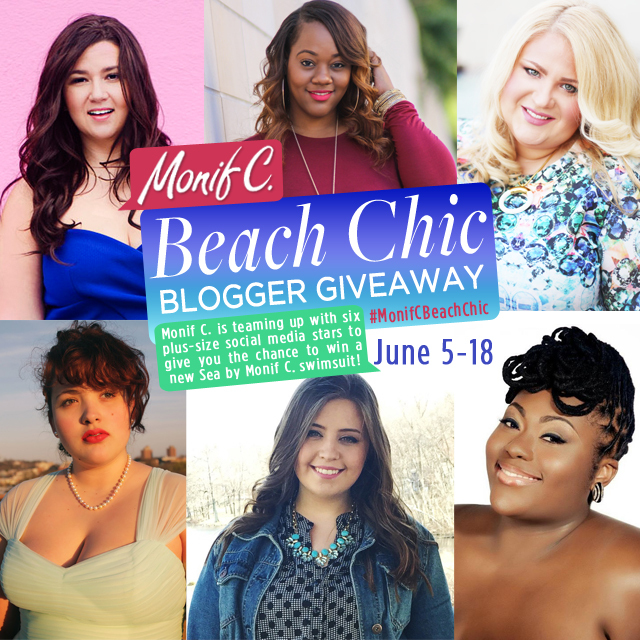 This is my very first TrendyCurvy giveaway and I am so excited to be teaming up with Monif C. to give away one of her fabulous swimsuits from her newest collection, Sea by Monif C.
To enter is very simple. Just follow these two steps below and you could be the lucky winner! THAT’S IT! Giveaway goes from June 5th – June 18th. Good luck! Do you know the max cup size? Were you impressed with the support? Not sure of the largest cup size but it goes up to a size 22 I believe. They aren’t actual cups, it just appears that way because of the piping (which I actually prefer). The straps are thick and adjustable so gives a good amount of support and comfort. Hope that helps! Of course I’d love to win this suit but I don’t have twitter. Where can I purchase the pink swim suit? Go to MonifC.com to purchase! 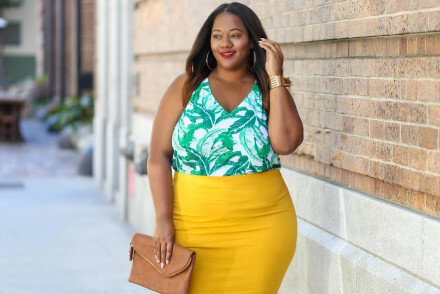 You look amazing! I’m seriously swooning over this suit!!! Be sure to enter so that you can win! OMG I need to win!! !